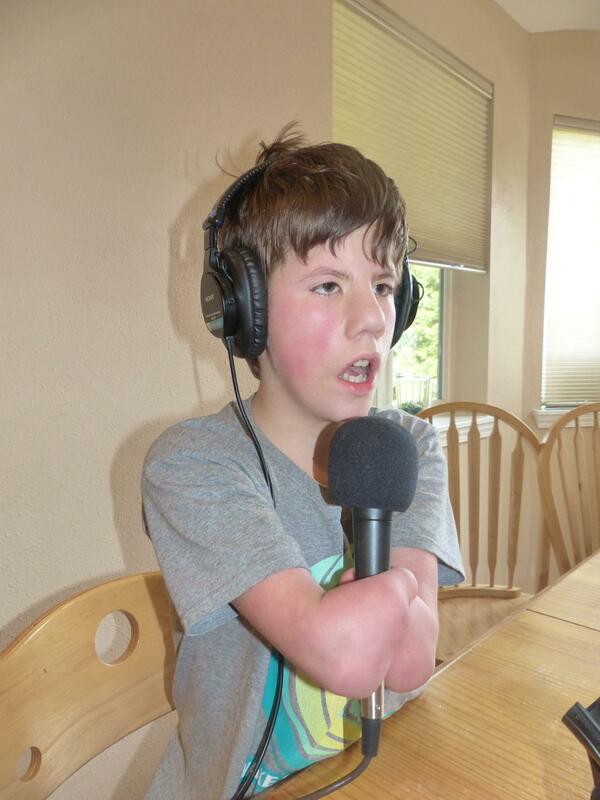 A Springfield boy will get prosthetic arms and hands thanks to a collaboration between University of Oregon students and advocates for people with disabilities. 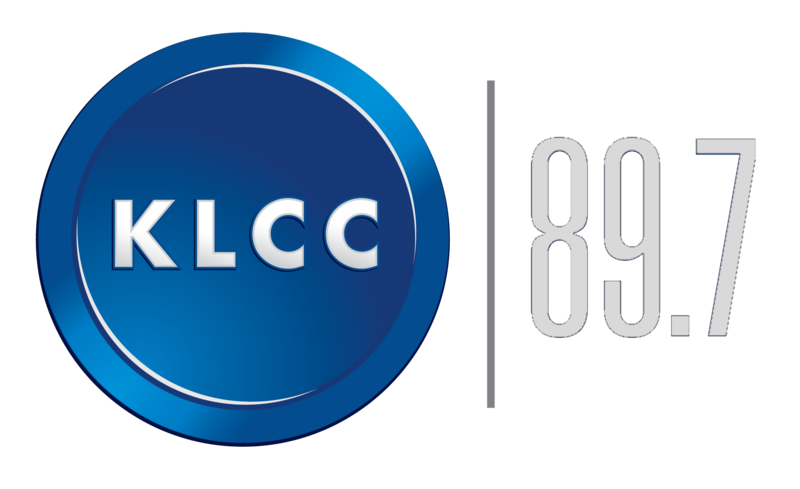 As KLCC’s Tiffany Eckert reports, the project is building more than limbs. It’s creating opportunities to learn and use new technology for a greater good. Joseph Horton wants to be a reporter when he grows up. Before we start our interview in his sunny kitchen nook, Joseph Horton brings me a glass of ice water. It is a polite act that has even more meaning because Joe has no hands. His arms stop just below the elbow. Nearly four years ago, Joseph was discovered languishing in a Bulgarian orphanage. Lauren Horton and her husband Don have eight adopted children, all with special needs. “Joseph was born with Moebius syndrome,” Lauren tells me. It’s a paralysis of the cranial nerves. Joseph interviews his adoptive mom, Lauren Horton. 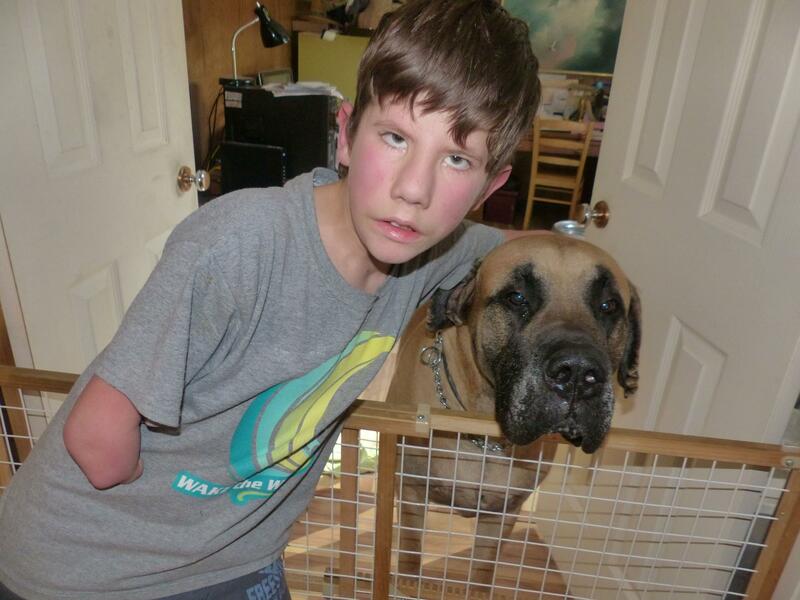 In Joe’s case, Moebius Syndrome also resulted in limb difference in both arms. 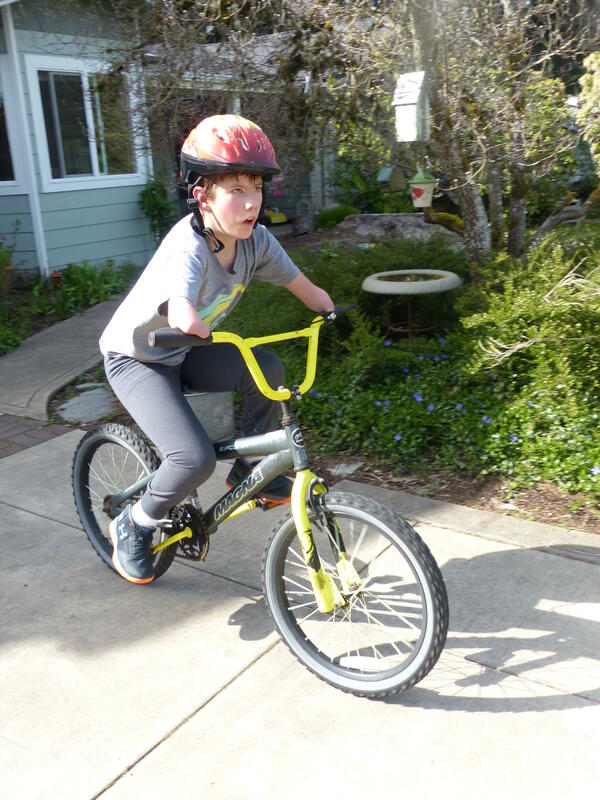 This doesn’t stop him from riding a bike or holding a pencil in his 6th grade classroom. But there are a few things Joseph would like to be able to do. Like zip and button pants. 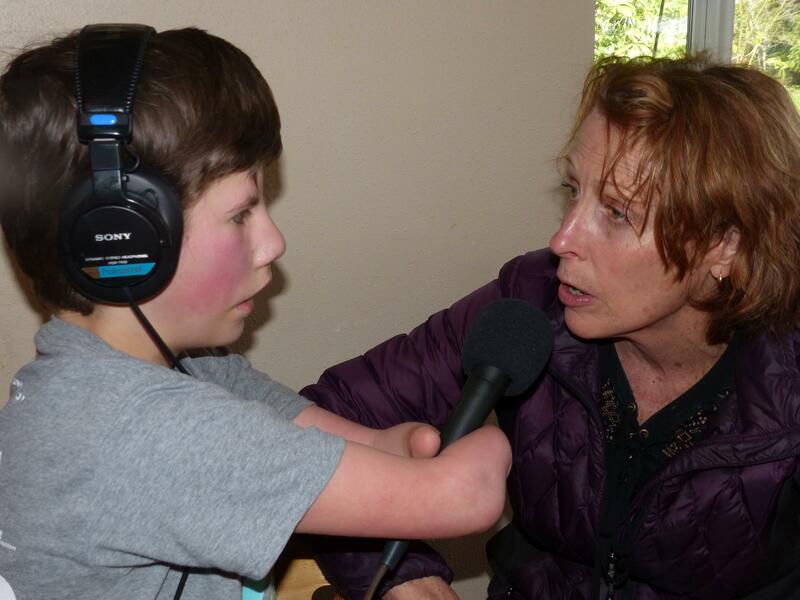 Paula Free is the founder of the Eugene/Springfield non-profit, Power On with Limb Loss. She relies on a prosthetic leg to walk, drive and rock climb. Free is a go getter. Paula Free founded Power On With Limb Loss after she lost her left in a motorcycle accident. She and Joe became fast friends. Free eventually found a couple guys in Portland who have a big, fast 3-D printer. They were stoked to help build custom prosthesis for Joseph. But they needed local contacts to fit the arms on Joe and trouble shoot design. That’s Jordan Bailey. 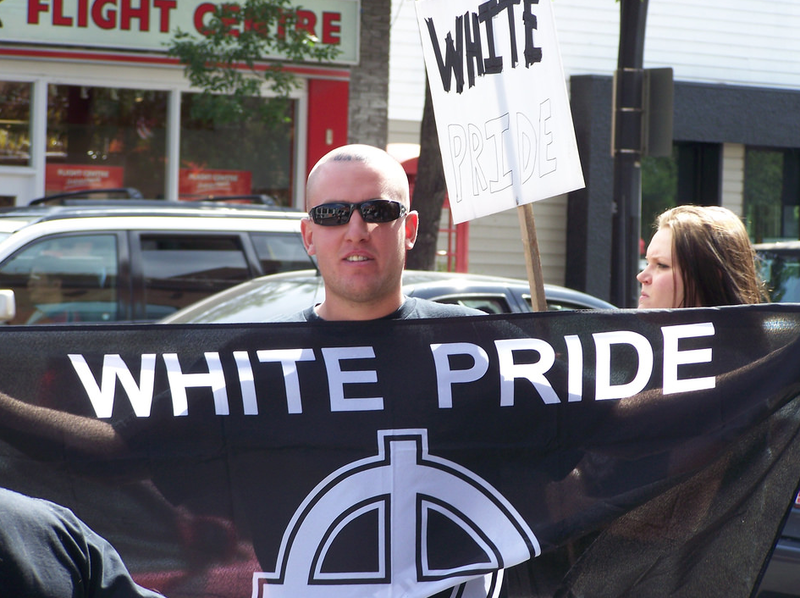 He and other club members meet once a week at the U of O. This evening, Joseph and Paula are here. The college students take notes and make suggestions as Bryce Civic straps a colorful plastic mold above Joe’s elbow. Bryce Civic fits a 3-D printed prosthetic model on Joe's arm. Looking at these 3 dimensional prosthetic models, it’s hard to believe they were made with a printer. The students say these prototypes are pretty simple to produce since the computer code and templates already exist. But instead of printing with dots of ink, the 3-D printer puts down strands of melted plastic. Jordon Bailey marvels at what is possible with today’s technology. Through the collaboration with advocates with Enabling the Future, each arm can be produced for under $40. Free hopes her non-profit can raise the funds to sponsor the project. She says they plan to make a few different kinds of right hands to start. 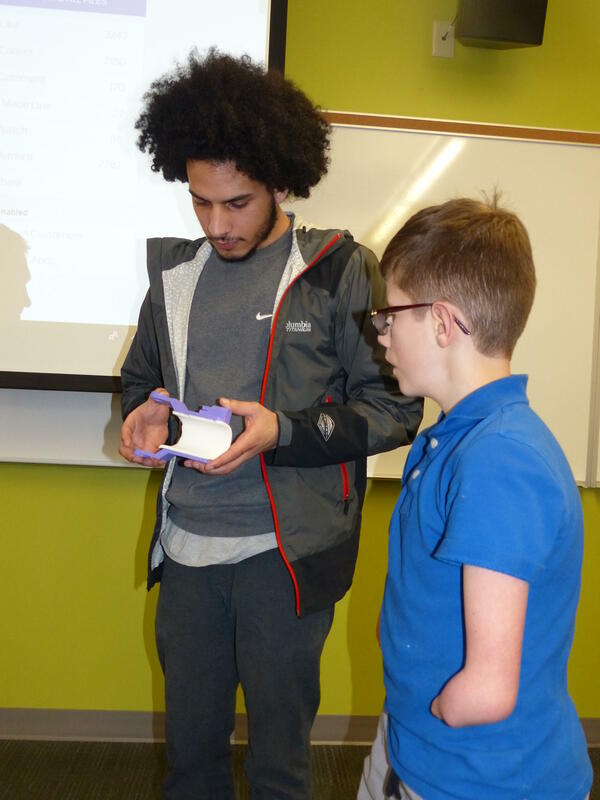 Jordon Bailey shows Joe a part of the 3-D prosthetic. 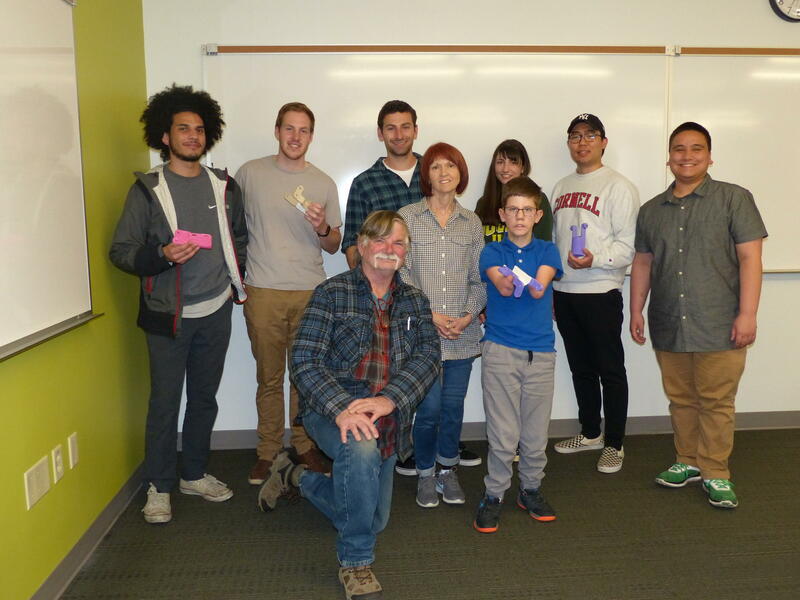 The BIO club members along with Paula Free, Joseph Horton and his dad, Don Horton (front kneeling) at the U of O. As we know, Joe can already pick up a cup without hands. 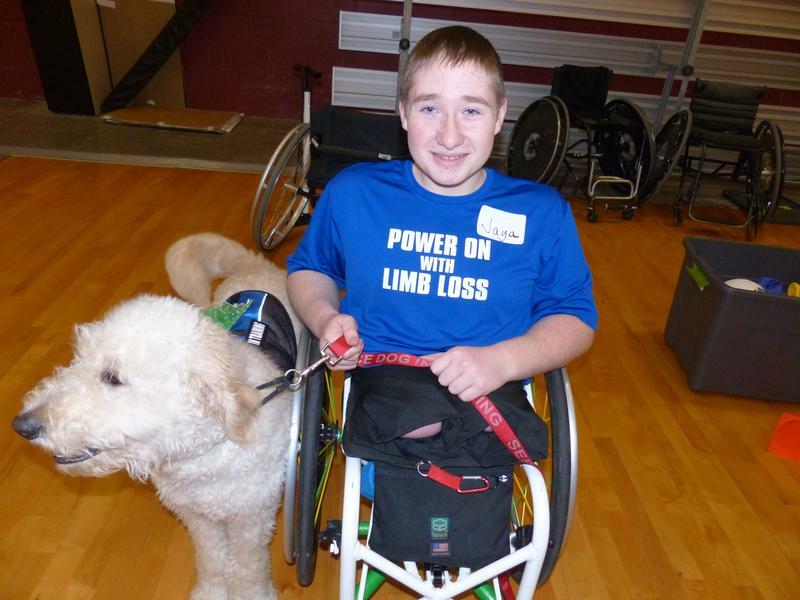 He has been adapting to living with limb difference his entire life. 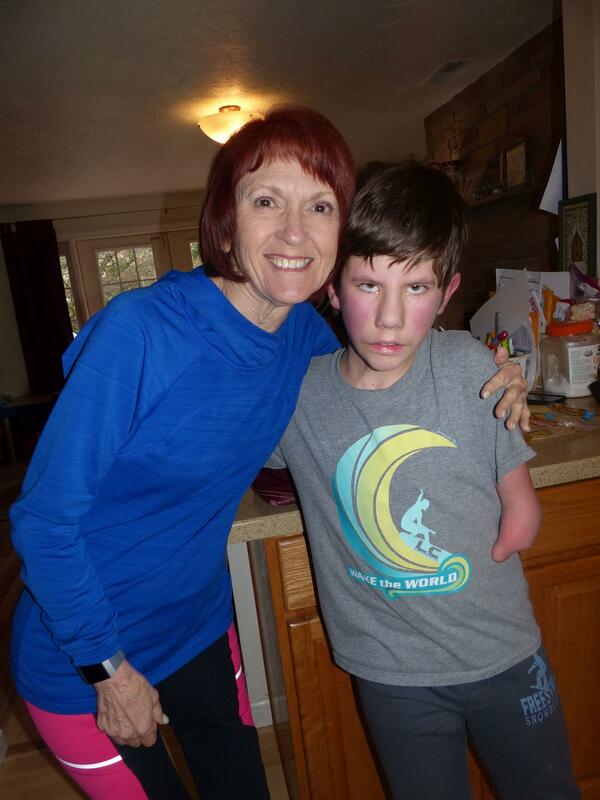 His mom Lauren says it will always be Joseph’s choice to use prosthetics arms or not. Joe and a new edition to the family! 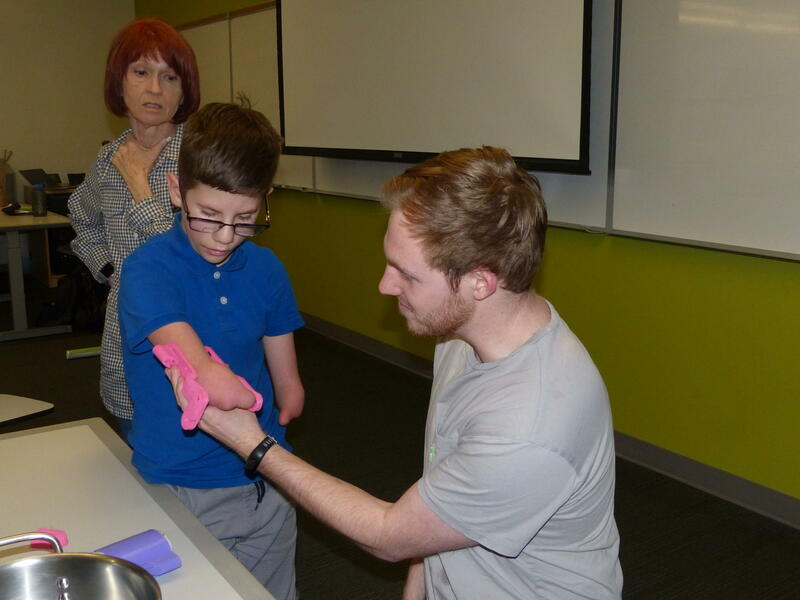 The 3-D printer prosthetic project is an ongoing collaboration. The BIO club students at U of O hope to have a working prototype, in bright blue, for Joseph to play with by the end of spring term. Meanwhile, there is no doubt Joseph Horton will rock on.